While it still seems like the arctic north where we live, there is no denying that even with snow on the ground, Easter shall soon be upon us. My philosophy with Easter has been very consistent through the years. The Easter Bunny fills plastic eggs with spare change, gum and little trinkets and hides them all around the house or in good weather, outside in the yard. The basket is also hidden and filled with a small smattering of candy and outdoor items like sidewalk chalk, bubbles, frisbees, kick balls and jump ropes. One year the Bunny brought matching Razor Scooters and to this day, the girls still use those on a regular basis. In fact, I think during my childhood in the 1970's, the Easter Bunny managed the holiday in much of the same way. I also remember getting jump ropes and colorful kick balls. However as time has gone on and the kids have grown, they are less interested in the small toys and trinkets. They are now aware of certain things such as HOW the bunny operates. I know this from suggestive comments and outright requests. Two weeks ago, Oldest Daughter stopped in the heavily filled, pastel colored Target store Easter aisle and said, "Mom, if you can get a message to the Easter Bunny (while giving me a big, sly smile), please mention that I would LOVE this kind of chocolate bunny in my basket. She points up to the top shelf where there is quite possibly, the largest chocolate bunny that has ever been made. Over 2 lbs of hollow milk chocolate, which makes this guy about three feet tall! Not to be left out, Youngest Daughter squealed and said, "YES! That is the chocolate bunny that I have ALWAYS wanted!" She smiles just as broadly and with the help of her older sister, manages to get it off the shelf and into her hands for a closer look. I stifle every single impulse I have to flip giant box over and immediately scan the nutrition label. This thing is HUGE. The girls are holding it together and giggling over the name. "Big" in an understatement. Ginormous Binks would have been better. This kind of confectionery monstrosity is NOT something that the Easter Bunny would normally consider. In our house, the Easter Bunny has always brought a small, thoughtful and delicious Godiva chocolate bunny. I am sure that the Easter Bunny believed that it was better to get some good chocolate than a waxy substitute, if you know what I mean. Especially at certain times of the month when the children are gone and the ears need to be nibbled on. But guess what? Kid brains do not think that way. They simply see the best as the biggest. To their childish minds, having a bunny like that is the ultimate in Easter candy goodness. It is like a trophy from the Furry Guy that shouts, "This kid is NUMBER 1!" In fact, I remember back to circa 1970 something and begging my mom for a store-bought Easter basket. The kind that was shrink wrapped on the shelves with a fake Barbie peering out and stuffed with paper to make it appear fuller than it was. I wanted that more than anything our regular bunny lovingly put together. During that decade, homemade was out and it was much more fashionable to get a K-mart basket, or so I thought in my ten-year old brain. What my mom did, yes, she who led us to be grateful for whatever we were given, was to make an abrupt and shocking decision to send the Easter Bunny a note to request that shrink wrapped plastic goodness. It was my favorite Easter of all. I even loved the crumpled tissue in the bottom of the basket. I think I cried when the doll's head popped off about 45 minutes into playing with it. No matter, it was the best moment of all Easter time. I thought about that memory several times after we left Target that day. That kind of happiness is simple enough to fulfill. My wise mom knew it back in 1970 and probably swallowed her concerns over knowing that the cheaply made doll wouldn't last a day. She knew even back then that childhood was fleeting and memory opportunities will last a lifetime. I thought about the nutrition label a few times more. I also thought about the waste that will most certainly occur as no one will even eat it all. But what really stuck out in my mind is what would the Easter Bunny have done without type 1 diabetes in the picture? So this year, perhaps the Naturally Sweet Sisters will have a delightful surprise on Easter morning too. Remember, kids first, diabetes second. Our youngest daughter has two little boys that like her. Yesterday, one of her young beaus remembered that youngest daughter had said she liked 'Fruit by the Foot. From how it was explained to me, she had told him a story that she hasn't eaten one since second grade, (insert an eye roll from mom because as a creative soul, she tends to exaggerate to make her point - huh, wonder where she gets that from???). She said he had commiserated with her and even offered her the one he was about to eat, right on the spot. She declined but I am sure she was charmed by his gesture. At the same time, the other boy that likes her, quickly diverted her attention by making weird noises that sounded like farts. Yes, this is the boy-style romance of fifth grade. From what I gather, this was not as charming to her, although she did giggle a bit because she is also in fifth grade. Yesterday, the first little boy decided to seize the moment and swear his undying love by bringing youngest daughter her very own Fruit by the Foot. In the way that boys that age do, he said, "Here. You want this?" and dropped it on her desk. When I asked youngest daughter how she responded, she said, "I smiled and said thank you and watched him turn really red. Then, I felt bad for making him embarrassed, so I shoved it in my desk. Plus there are no carb counts on these." Later that day and after witnessing the Fruit by the Foot drop-off, the second little boy decided that enough was enough and got into a scuffle with the first boy. They wrestled at the lockers and were separated by the teacher. In an hour, the two boys were back to being friends as though nothing had ever happened. Youngest daughter was not nearly as calm. She jumped into the car after school and feeling worried, told me the entire story. As she sat back and contemplated the days events, she declared, "This is EXACTLY why I am not ready to be involved in a relationship. Boys are too much work!" Then, she happily devoured the Fruit by the Foot which we guessed to be about 15 carbs! Something wonderful happened at 3:00 a.m. last night. Oldest daughter woke up to the sound of her CGM bleeping a warning for a high blood sugar. Quietly and without a fuss, she flipped on her zebra lamp, blinked her eyes and read the Dexcom alarm of HIGH BLOOD SUGAR; 434 mg/dl. Troubleshooting like the t1d pro that she has become, she flipped over her One Touch Ping mete, inserted a strip and re-tested to find a comparable 427 mg/dl. Reaching for her Animas insulin pump, she felt her tubing slide underneath her leg with the infusion site dangling from the end and not attached to her body. Thinking back, she remembered the tape loosening after her bedtime shower and hoping that once dry, it would adhere again. It did not. Without further analyzing, she tugged open her bed-side stand and pulled out her secret stash of brightly colored pink Inset 30s and Skin Tac wipes. In seconds, she had expertly inserted a new site. She then re-primed her pump, attached the tubing to the infusion set and gave herself a hefty bolus before going back to sleep. All of this occurred while my husband and I lay sound asleep just down the hall. She did it because she is aware of our own sleep deprivation. A few weeks ago, from changing many basal rate overnight settings, she noticed that I fell asleep in the mid-afternoon. Being the gentle heart that she is, she asked if she could do anything for me while I took my nap. I told her no and that a nap was just what I needed. She listened to that. Somehow it stuck as Mom needs a nap. 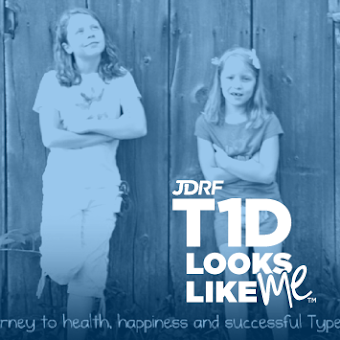 Our history with t1d is different than most. For some families, their kids with t1d may have been doing this sort of thing for years, waking, taking care of themselves and going back to bed without bothering mom or dad. This might be old news and nothing to blink twice at. In our family, this is not the case. We were the ones that made a conscious decision from the beginning to let our kids be kids. The Naturally Sweet Dad and I took the burden of care upon our shoulders and made a point of minimally involving the girls. It took years before they picked up testers and checked on their own. Much longer until they were ready to learn how to do an infusion set change. Even now, the bulk of the site changes rest with mom. I plan them, prepare them and try to be as gentle as I can. While I want my kids to know how to do something, I don't expect them to take on the full-time responsibility. Why our house runs this way? We live and breathe kids first, diabetes second. Maybe by doing so, we can keep the exhaustion of chronic care at bay for as long as possible from our children. Even with tonight's 'wonderful something', I am still not ready for oldest (or youngest) to shoulder that burden of management, especially during overnight hours. Childhood is precious and in just a few short years, they will truly be on their own in college and in careers. I am beyond pleased that she CAN do this but in no way do I expect her to HAVE to do this. Not now. Not yet. Today, I plan to hug her after school and then if I can, encourage her to take a little rest. She needs a nap too. Cut the Cord? Nope! Just Keep Adding Them! I am losing my cord war. 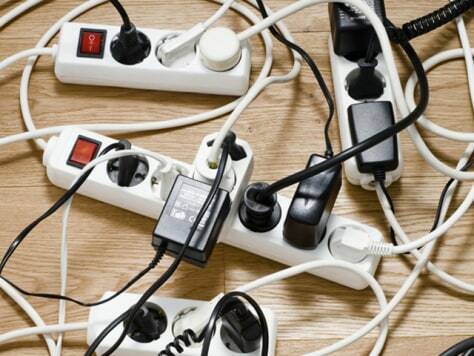 Those pesky, irritating cords that help keep our world humming along. We have cords for our phones; an iPhone 5, an iPhone 4, a Samsung phone and a basic phone. From those four devices, each has their very own extension to a cord. One is not even compatible with a USB, but only with a wall plug. From there, our family line of technology moves into the Dexcom G4. With two kids using this product, the result is another two chargers. Even our blood sugar meters require charging. While we toggle between the Animas Ping One Touch which IS battery operated, our two daughters, style mavens that they are, have declared the Verio to be smaller and 'cuter'. Which of course, translates into more cords. That doesn't even begin to count the reading devices, the laptops and the tablets. Yes, each of these items have cords. I find them everywhere; bedrooms, bathrooms ("Well, I had to charge it somewhere..."), kitchens, office and even our car. Sometimes, I search in purses and backpacks only to find them stuffed in a gym bag. And while this may seem like a first world issue and I am sure that it is, a lot of these cords are life-saving. 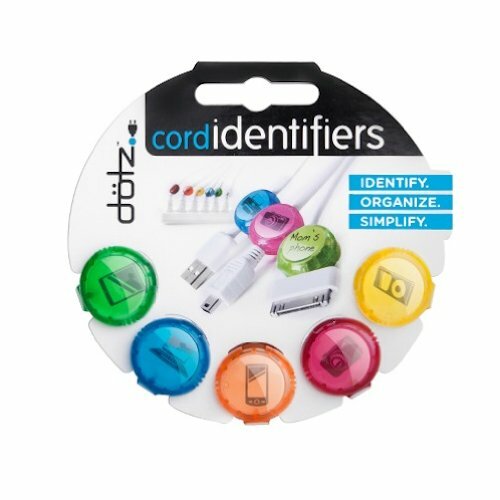 The ones for the DexCom? I can't imagine not having a sensor these days. It is the only thing that allows me a smidge of sleep. The blood sugar meter? For the first time in a months, I can already see an improvement in my daughters fingertips. Less puffy, less calloused, and less scarring from those tiny poke marks. So how do we do organize this new tech world that we live in? 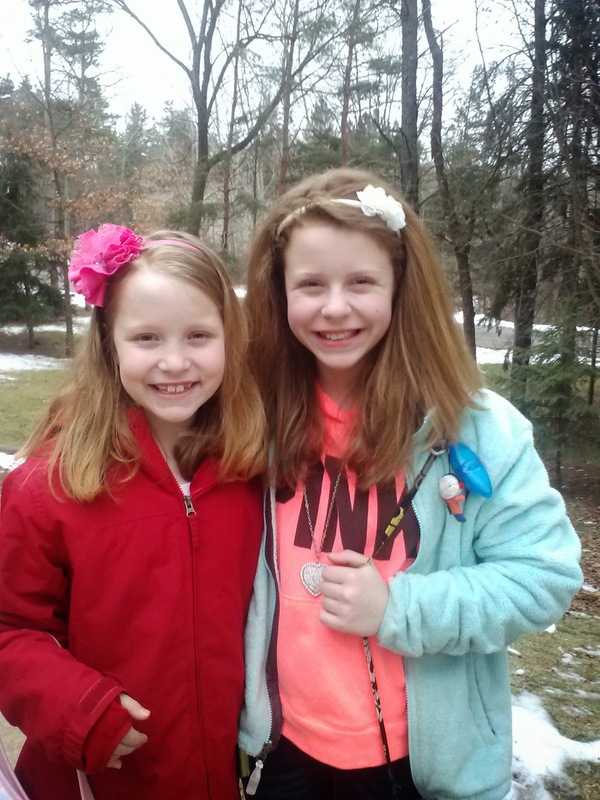 Ford Motor Company Race Car Design Contest Starring Naturally Sweet Sisters - Vote Today! 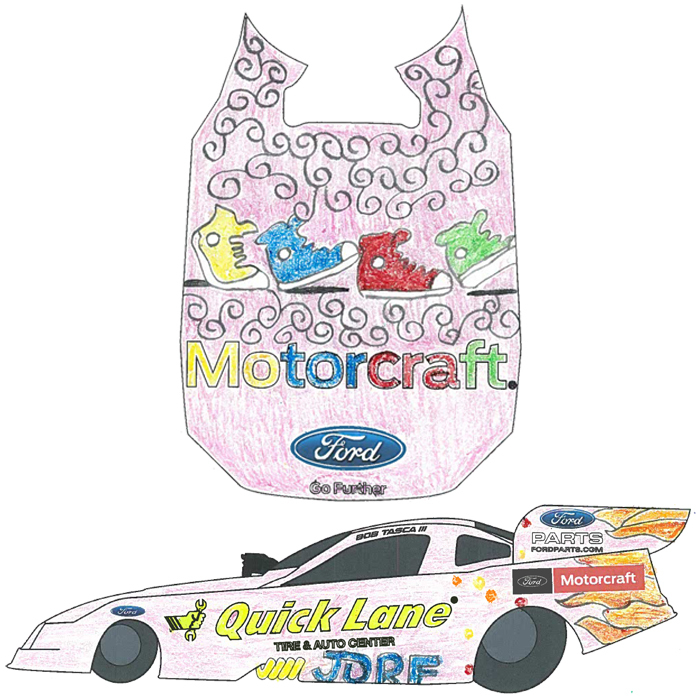 As we kick off our support for the 2014 Walk to Cure Diabetes through JDRF, the girls for a second year in a row, took a stab at handcrafting a design for the Ford Motor Company Race Car Team. This is a fun little contest where the drawing with the most money wins a design on a REAL Ford Race Car. Pretty cool! What's even more wonderful, is that it is a national contest, so kids from around the United States that are living with T1D can enter. JDRF and Motorcraft/Quick Lane are joining forces to help raise awareness and funds for type 1 diabetes (T1D) research through the "Our Everyday Heroes" Race Car Design Contest for JDRF. The winning design will be featured on the Motorcraft/Quick Lane Ford Mustang Funny Car driven by Bob Tasca III. Now in its seventh consecutive year, the contest has raised over $340,000 for the cause. This year, the winner will attend the Mile High NHRA Nationals, July 18-20, 2014, in Denver, a professional drag race where the JDRF-themed Ford Mustang Funny Car will race at speeds faster than 300 mph. Early morning, and as I am trying not to reach for coffee after weening myself off early in the new year, I struggle to think about the daily agenda. Permission slip for field trip? All seems well and in order. Oldest daughter is already at school, thanks to Naturally Sweet Dad and so it is just me and the little(r) one. Although as we stand side by side, I notice that she is meeting me eye to eye. Apparently that sneaky growth has been happening when I wasn't looking. Out the door we go and into the cold spring morning air. On the drive, she switches the radio to satellite to tune in her top 40 Disney hits. Singing, she is blissfully unaware of anything but being a happy 5th grade kid on her way to school. The word sticks out so much that I actually squeal in the car. Feeling that sense of panic over not having crafted a perfectly organized lunch with a carbohydrate sheet for dosing insulin, I quickly glance for areas to turn the car around, while muttering about forgetting her lunch, and head back home. Then, Youngest Daughter looks at me and smiles. "That's cool, mom. I can pick out something from school. They have this new thing. It looks like a salad but it is hard-boiled eggs, lunch meat and carrots with ranch. They make it there and my friends have been getting it. I could get some chips too." She adds the last part hopefully and doesn't look at me in case I say no. I frown for a second and try to think of what she is referencing. 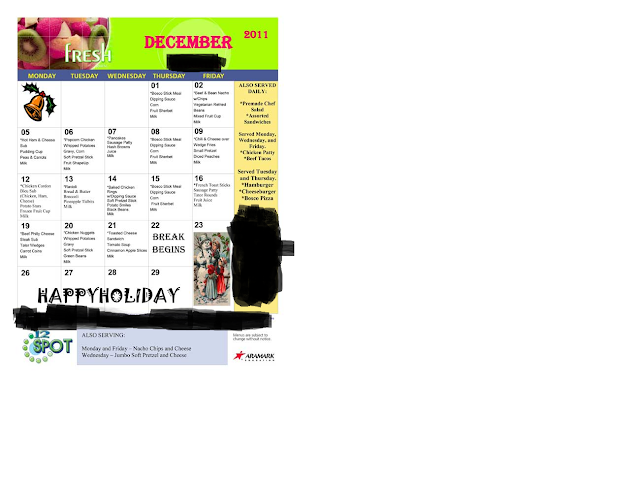 I only know a little of the ala carte option that the middle school offers. Youngest Daughter continues chatting on with the merits of the new lunch option. I listen cautiously. Clearly, she sees this as an opportunity to do something that she has always wanted to do. Watching her smiling face and animated features, I know what the right thing to do. Tentatively, I smile back at her and say, "Well, I guess we have a solution then. How about you text me with what you decide to eat and try to add up the carbs yourself. Text me those numbers too and we will check together." She grins and nods in agreement and jumps out of the car to greet a friend. As I pull away, the song 'Happy' blares from the Disney radio. 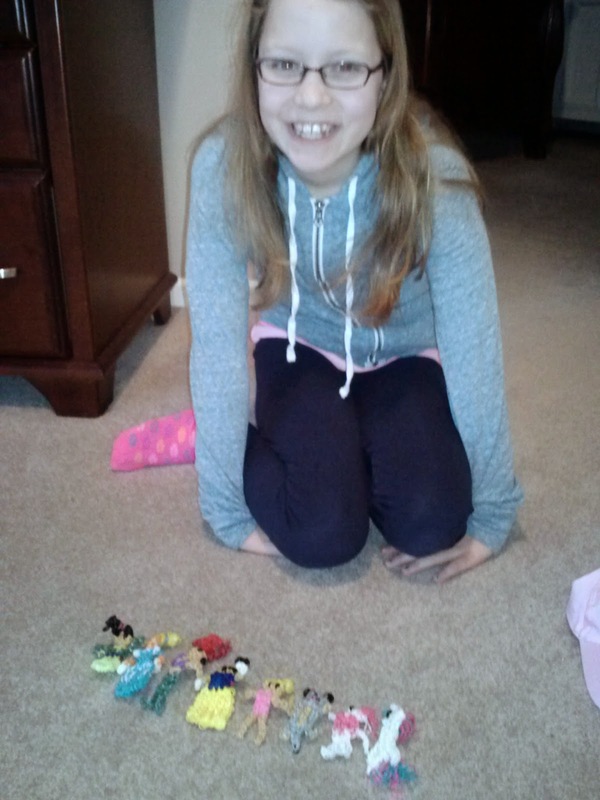 Despite the obstacles of T1d provided, she is still very happy. And so am I. Kids first, Diabetes second. As the UPS driver pulled away from our house and I struggled to lug the two huge boxes filled with medical supplies back inside, I realized that this quarterly habit was perhaps interesting to those of you will just one loved one living with T1D. And notice no DexCom G4 Supplies? Until this shipment, due to insurance regulations, we would have to pay full value, which at $100 a sensor, would cost our family about $2400 for the first three months of the year. So we wait until our deductible has been met and then pay our co-pay at 30% of the total cost. I try not to think about the cost that those pictures represent either. T1D is expensive no matter how good your insurance is. In each of those boxes are carefully chosen diabetes supplies. One daughter likes her Animas Ping meter/remote and requests strips to match. The other daughter likes the old Accu-Chek lancing device because 'it hurts less'. I have discovered that the Verio has a light on the meter that has made nighttime blood sugar checks a breeze. Skin tac is perfect for teen skin and the list goes on. It is a very personal choice and is constantly changing. The beauty is that for the next three months, we are stocked and ready for all that life brings to the Naturally Sweet Sister house. It's a phrase that has been looping inside my head. It seems like this weekend was The Weekend to make type 1 diabetes behave. I added in new adjustments and new corrections (above and beyond what our endocrinologist had suggested) to our daughters' insulin pump settings. In case anyone is still wondering, let me dispel the myth: An Insulin Pump Does Not Have A Brain. Sigh. Wouldn't that be nice? 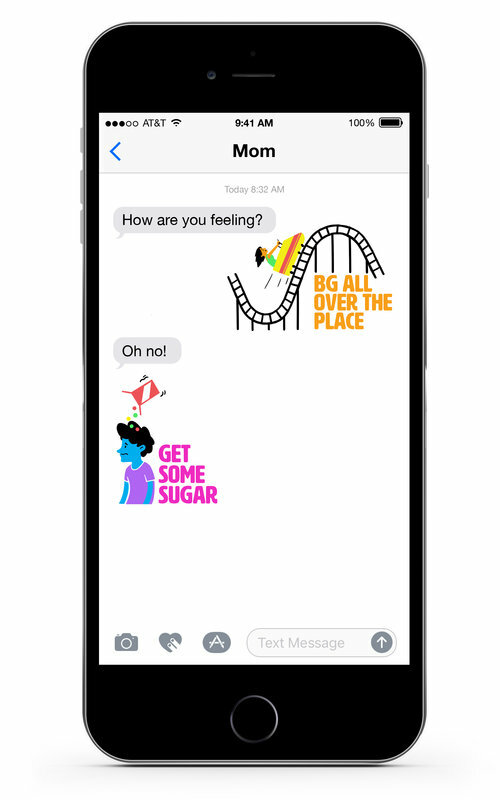 It us as parents or as adults living with T1d that update insulin pump settings, through some science but mostly, through a ton of trial and error. I think this is quite possibly the only disease where patients determine how much of a potentially life-threatening medicine to take at any given time. So for me, having my girls here at home when we make major adjustments is a must. I have to see if they can stay between the lines. If not just to check for changes, but to keep them SAFE. Which means that it was time to really pay attention to the Dexcom G4 in a proactive manner and not just use it to alarm when the numbers are heading into dangerous territory; ie, re-actively. I made the first insulin pump adjustments at our endocrinologist appointment a week ago. Painstakingly, we waited to see how it would effect our girls. As the week went by, we noticed a couple little things. For oldest daughter, it was a pesky afternoon high that wouldn't go away without at least one correction. For youngest daughter, it was a sharp rise from 3:00 a.m. to 6:00 a.m.. I don't think we would have been able to narrow in on either had it not been for our Dexcom G4. In the picture below, you can see how great our daytime numbers had leveled out, but you could also see that the little bit in the middle of the night that was still lingering and needed attention. Once we were able to determine where we still had some settings to add, we could then easily go back in a correct the basal rates for just that time of day. It made it easier. Still, sleepless nights for mom and dad but at least we could feel more confident with our settings overhaul. Today at school, I have received two text messages. One with a cheerful 112 mg/dl and the other a bit worried with a lower 74 mg/dl. So even with The Weekend under our belt, we still have work to do on staying between the lines. At least now, it doesn't seem so unattainable. We have all heard the helpfulness of pre-bolusing for meals at least 15-20 minutes in advance, to keep your carbohydrates from spiking your blood glucose above the tipping point of 250mg/dl. I get it. Why not give the insulin a running start? It does help. The reality though is that there are certain times where you do not have 15 minutes to spare. One of those times is during lunch at school. Oldest daughter gave me a breakdown of her day. 6:00 - 6:30 a.m. Getting ready for school. 6:30 - 7:00 a.m. Eating, brushing teeth, out the door. 7:15 - 7:30 a.m. At school, locker and desk. End of day. And somehow, I am missing an entire 7th hour made of of minutes shaved off the hours that I have posted. So you get in a nutshell that the kid is running around the building from class to class and trying to squeeze in t1d. It is not easy nor is there extra free time to wait around for 15 minutes for insulin to work. Not to mention that she is HUNGRY by the time lunch hits. It's easy to forget that the older kids who used to be overwhelmed with extra food in the classroom from school parties and birthday treats, suddenly are without for most of the day. Or that their bodies are morphing into what will soon be adult shapes and sizes. I'd be hungry too. Motivated by her recent clinic appointment and wanting to strive for better, our oldest daughter and endocrinologist found a solution. They discovered that our oldest could squeeze in an extra 5 minutes just by employing one new, small change. Instead of placing her carb count sheet into her lunch box, which had been the norm for years, we moved it into her blood sugar test kit in her purse. In this way, she no longer has to bolus in the cafeteria, but can do it before she even arrives there. That gives her five extra minutes of insulin working before she even takes a bite. One simple change and hopefully, even tighter numbers. Is it perfect? Is it text-book worthy? Probably, not. But it might be better and that is good-enough. Thinking About Older T1D Teens and College? I do. My girls are in the middle. That means that we have successfully navigated baby and toddler hood. We have also learned how to jump through the never-ending-food parade of elementary school and tackle the beginning independence of middle school. When the girls both hit double digits in ages, I knew that we had arrived squarely in the middle of childhood. While I try to live in the moment, I can't help but marvel at how far we have come and to also, look ahead to the future, which for us, includes the 'c' word; COLLEGE. It can be done. I know this. My brain tells me it is so. People that live with t1d go off to college, have late night study sessions, oversleep in the morning and eat stale pizza daily. And they still manage t1d. To keep it real, I know that people that live with t1d continue to LIVE. Yes, live. Because sometimes as a parent, it is difficult to swallow that huge fear that the worst could happen. And I know it could. But I also know that with some hard work, planning and good sense of self, it won't. Yes, I know all of this. But how it happens, I am not sure. We are still in the middle and haven't made it that far. One of my ideas is to start by practicing while they are young. We are using this summer as a potential starting point for allowing a bit more (and carefully controlled) planning to occur. Oldest daughter has accepted a one-day-a-week babysitting job. Youngest daughter has asked for art lessons. Both will be in golf again. There will also be sleepovers, parties and long days at the beach - with and without me. Simple things but both allowing a bit more freedom and a chance to start implementing their skills of living life WITH type 1 diabetes. Because the thing that I know most of all is that I would be doing a great disservice to my children if I didn't allow them to live BECAUSE of t1d. (click on this link for a great article in the Huffington Post). When my girls were small, we could often pack a 'Bag of Fun' and plan a little picnic in the doctor's office. The girls loved those visits because each Bag of Fun offered a new treat or surprise. Often, it was just a puzzle or new coloring book but it was enough of a surprise that it was neat to play with during the one-two hour visit. While I knew that the Bag of Fun had kept the girls busy, I didn't realize that one day they would completely grow out of it and grow into participating in our adult discussion at the clinic. I know that seems crazy, but in seven years, the girls were happy to leave the talking up to me and their dad. Somehow, I just assumed that it would be like that forever. For two appointments now, our oldest daughter has not only listened intently to what we are discussing but has participated, complete with tears over what she is feeling is 'not good enough' when it comes to her A1c - which at 8.2%, is plenty fine. In fact, it is MORE than fine. I won't bore you with the million reasons but I will share a few that stand out to me; she is safe, she is checking bg, she is taking insulin, she is measuring her food, she is growing, she is hormonal, she is on her own with school and after school activities sometimes 12 hours a day! Did I mention that she also pulls in straight-A's every quarter? Yes, I think she is doing a tremendous job! Her A1c number will never reflect all of that effort and hard work. Which brings me back to the situation that I am in. With the Bag of Fun no longer holding magic entertainment for one of the Naturally Sweet Sisters, I think it is time to switch a bit of how we handle that appointment. This weekend, with help and feedback from oldest daughter, we drafted an email to our clinic social worker with three suggestions. 1.) Create an on-line accessible form for older kids to fill in to discuss what they have been up to during the past few months. Why is this needed? Well, in the way that our clinic handles the A1c, kids are told what their A1c number is and then, asked a bunch of questions about what they have been doing. Unfortunately, what happens is that oldest daughter hears her A1c and then, tunes out everything else. She said, "My mind goes blank and I can't even remember what I did yesterday!". Perhaps having a written document to help take the focus off the child and onto the words would make that conversation less intimidating and more productive. It really is a lot about setting the tone and I want to make sure we keep things positive. 2.) Have the clinic provide the A1c in a written document that is casually handed out. One of my fellow T1d Mom, Dana, told me that her clinic offers a two-page handout with her daughter's A1c and an average of the clinic patients A1c in a nice graph format. She loves this because it takes the pressure of thinking that you are trying to achieve a robotic ADA guideline when the reality is, kids are kids. What is the NORM for kids? Well, with a graph like that, you could see. Our oldest daughter loved the idea and felt like it would be motivating when you are on one higher side and a pat on the back when you are on the lower side. Kind of like playing video games with your friends. Everyone wants a good score but only if it is relative to reality. 3.) At our last two appointments, with Oldest Daughter in tears, I wanted to take a breather and speak quietly to our staff without having any young ears listening. At our clinic, there is no place for kids to go other than in the waiting rooms. What we talk about it, they will hear. Which, now that I am fully aware that kids are listening, I want to have a protection option built-in. What I don't want is secrecy or the feeling that something bad is occurring if I need to speak to the Dr. So I proposed an idea... what if there was a space within the clinic where kids would be free to go to watch tv or play games for a few minutes while parents talk. It might be a softer, kinder and gentler feeling that hearing things and feeling like you did something wrong. I also want to open this up to other parents. What would you like to see happen in your own clinic? Or if you could change anything what would it be? Or maybe tell us what works and what you love at your clinic. All feedback is appreciated. I can't change the world but I can change how we deal with T1d and maybe, the change will catch on for others. And just maybe, it will be better. On Friday, we had our quarterly A1c appointment. It wasn't extraordinary nor was it horrible, but it was eye-opening. With little fanfare, we went, we received our A1c results and we watched with great sadness as our oldest daughter fell apart in a puddle of tears. Her A1c was 8.2% and for an almost 13 year-old girl that is managing as independently as one could, that number barely reflected the amazing job she has been doing. But she is almost 13. And she is sensitive. She is also a high-achiever and displays typical first-born characteristics of being mature, responsible and goal oriented. No matter how we comforted her, she was not to be consoled. And to make matters even worse, her younger sister had an A1c of 7.5%. An 8.2% A1c wasn't 'good-enough'. So it hit me like a ton of bricks. This is much the same as I felt when I was striving for perfection in our youngest daughter's blood sugar numbers. I worked so hard to ensure that I did everything right and felt completely deflated when the A1c hovered at 8.0. The difference? I learned the difficult rule of type 1 diabetes being an art and not a science. Sometimes, despite our best attempts, diabetes will not cooperate. The other difference? She is not your typical teenager. This young lady WANTS to have good numbers. 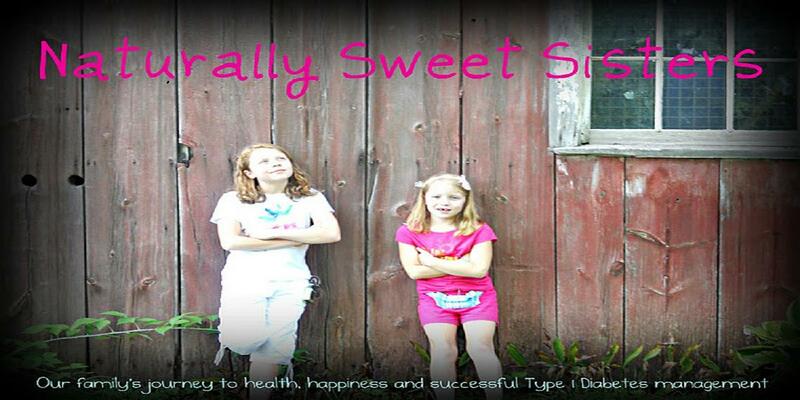 She complies with her blood sugar testing and happily wears a CGM. She just wants to hear (and see) that she is doing a good job. Unfortunately, the A1c seems to be making her feel less than, despite all of my learning and instruction to 'let it go'. Over the weekend, we talked about it and oldest daughter is back in good spirits. I am once again left holding the bag of emotions and wondering how to best navigate this new world. It is clear that she is listening, she is feeling the tug of a never-ending, imperfect disease that is difficult to manage. In the next blog article, I will write up a few ideas that I have tossed back to the clinic to help make it better for older patients that are taking on the responsibility of type 1 diabetes management.